Drinks will be supplied by WAPA. Family and anthropologically-minded guests very welcome! The location is about 7 blocks from the Silver Spring Metro station. If you need a ride or can offer one, please check the ride sharing forum on the WAPA website. Parking: No parking on Sligo Ave. without a neighborhood permit. 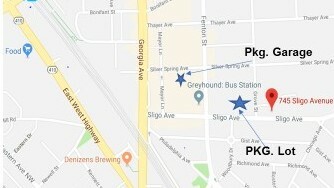 There is a parking garage on Fenton St. between Silver Spring and Sligo Ave. (accessed from Fenton St.) and a parking lot on Sligo Ave, corner of Grove St. (former police station, but you can use it). Might be full. There is also a garage at Wayne Ave. and Fenton St. All parking is free on the weekend in Silver Spring.